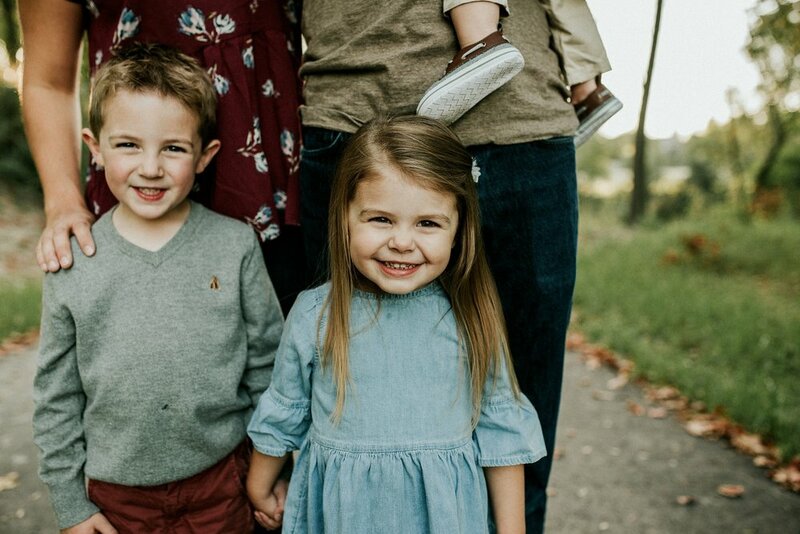 Getting family pictures done is something I truly LOVE having done, the kids grow up way too fast and I love having some good quality [non Iphone] photos of us. Some say it is a waste of money [Steve...] but sorry, I cherish them. When I saw the email come through saying our photo gallery was ready to view I was a bit nervous to be honest. We wanted sunset photos which meant Wells would be up past his bedtime, GASP! For those of you who know my kids bedtimes... we do them early. Every single one of them until they were closer to two, would go to bed between 6:30-7 pm. So, needless to say I was nervous mostly for Wells. However, the toddlers stole the show of being the difficult ones. Okay, Im being dramatic, but Wells was super easy and the older two were the ones that needed the help focusing. I'll be done rambling and let the pictures speak for themselves.